Posture: Posture is everything when singing. Keep your back straight, with your head forward. Do not tilt to one side or the other. This will help keep your breathing even, as well as help you give your best performance. Try to avoid slouching or fidgeting. Breathing: While posture helps with your breathing as well during your singing, it is important to make sure you are breathing with your diaphragm, which will help support your voice. Place your hand on your tummy, where your ribcage is. Breathe in through your nose, is your ribcage expanding? Or is your chest? Your chest should not be moving, but your diaphragm should be. Vowels: Correctly pronouncing your vowels will help your singing and help you enunciate your words while performing. Try starting by saying A-E-I-O-U. Do not close your jaw while saying this. Keep your tongue against your bottom jaw until you can say this without closing your mouth. The chin: Most raise their chin when singing higher notes. But to give your vocal chords more strength while trying higher or more powerful notes, keep your chin down. It opens up the throat and helps you achieve the correct notes. Water: Keep drinking water, it keeps the vocal chords moistened and ready to go. Hint: lukewarm drinks are the best way to go. Cold water and other beverages can cause your muscles to tense up before performing. Exercise daily: Not physically (although that’s recommended also), but we tend to lose skills when we don’t use them for periods of time. By practicing your singing daily, it will become easier to hit notes, and will develop the muscles in our throat. Try doing vocal exercises along with singing casual songs for the best bet. Trills: Hold your lips together and blow air through your mouth, causing your lips to flap. It makes a brrr sound, and is know as a lip trill. This relaxes your lip and mouth muscles to help them form noises and notes better when singing. Try doing this right before the performance also. 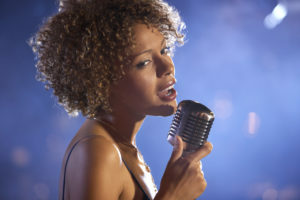 Confidence: Being confident while singing is key as to help you let loose and perform to the best of your ability. Break through your nerves by practicing at home, alone, or in front of family and friends. This helps you feel less vulnerable and gets you comfortable singing in front of people. Once you’re confident enough in your abilities, you can start maybe going to karaoke night or even performing in competitions. Singing better is a goal for a lot of people. Whether it’s pursued or not is up to them. These tips will help you conquer your fears and help you sing to the best of your abilities. Singing better may take time, but if you wish to improve your skills in a quicker way, there is a singing system out there that will help you take your vocal skills to the next level. The Superior Singing Method is the new personal vocal training system used by everyone from professional recording artists to live performers, or anyone who wants to be a great singer! With the Superior Singing Method, you will not only learn how to sing better, but also how to maintain a perfect singing voice while also guaranteeing an improvement in your vocals by one octave. So, take your performance to the next level! 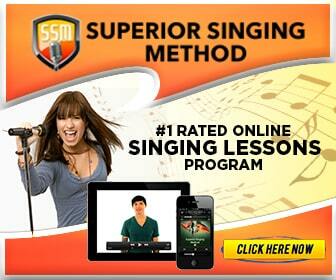 Check out the Superior Singing Method today for improved vocal focus and ability! 8reat, beats avenue.i do appreciate ur team for that guidelines. But would you mind send me a free nice raggae beat with bass?